NEW! Triwater Bag | EHS Sales Ltd. The Triwater Bag is environmental friendly, reusable and cost effective. These flood prevention bags are reusable, easy to store and require minimal physical labour. 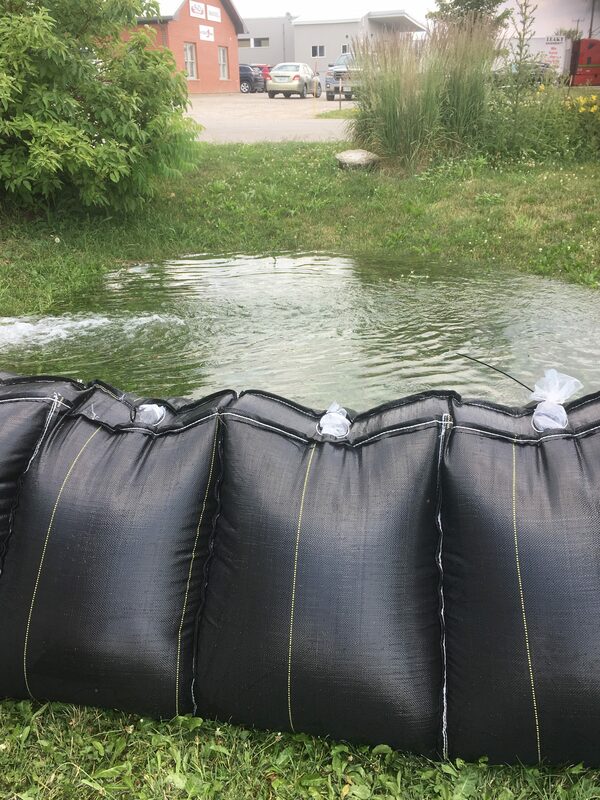 A great alternative to the typical sand bags, as they use water to fight water. Triwater Bag is environmentally friendly, using water to fight water. It’s re-usable and easy to store, and cost effective. It comes compact which allows for cheap and easy shipping. Triwater bag is easy to set up and requires minimal labour, simply unfold and simply place in the area you wish to protect. Place the hose inside the bag and begin to fill with water. Once each bag is full zip tie the bag tight. Continue filling each bag moving from the lowest laying point moving outward. This quick and easy process allows two people to set up 2 ft every 2 minute. A fabulous alternative to sand bags!